An Innovative Beginning for an Inventive Solution. ​doesn’t mean that innovation isn’t needed. ​TheraB Medical didn’t have a traditional beginning as a medical device company. TheraB started as a student engineering project at Michigan State University (MSU) in 2014. Three engineering students were asked to find an improved treatment for infant jaundice. Little did they know they would be inventing a revolutionary product that could directly and positively impact the next generation. Stated that jaundice treatment was stressful to them and their baby. Felt like the jaundice treatment their child received prevented them from bonding with their child as much as they would have been able to otherwise. Of participants said that a portable and wearable swaddle treatment for jaundice would have improved their experience. Soon it was no longer just a school project – it was a dream of making a difference. Thanks to the support of the MSU entrepreneurship community, what was once a class project turned into a startup company. 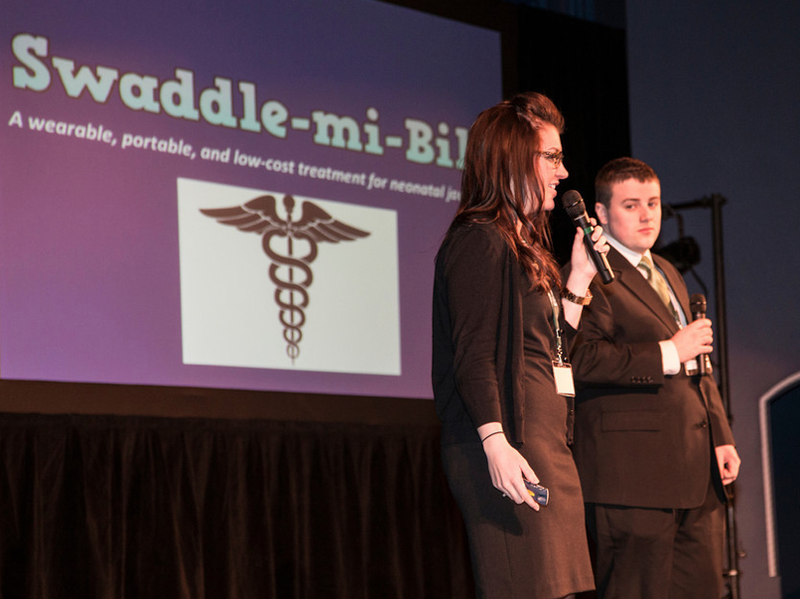 The founders participated in several student business model competitions and were successful in creating a positive buzz in the East Lansing community. Since then, TheraB has participated in (and won!) several business start-up competitions, and now has a full time CEO who is working with the team to commercialize SnugLit by early 2017. The company is actively seeking a first round of funding to make it through the FDA approval process as a Class II 510(k) device. ​Check out the timeline to see a more detailed history! Alexa Jones came on board as full time CEO. Secured a convertible note with Spartan Innovations. Closed a convertible note with Quantum Medical Concepts. Took 1st place at the LAUNCHED business competition. Took 4th place (out of 2,500 teams) at the International Business Model Competition. Received BAF grant to accelerate product development. Took 2nd place in the GreenLight Business model Competition. Took 1st place in the Hatching Competition. First round of customer discovery took place - interviewed over 100 nurses and mothers. TheraB’s 3 founders join as a student group at Michigan State University. Want to learn more about the entrepreneurs behind TheraB Medical?